I was surprised at the time by the quantity of very subtle detail captured in these images, and while I have captured many, many more (and better) lunar images since; I remember the shots from this night especially fondly. So what would you like to share as we we get this thread under way? Edited by BKBrown, 05 May 2015 - 10:20 PM. Like you, I remember my first night of imaging very fondly. Racing from target to target, crater to crater made me feel like this little guy: . I've found that setting the correct exposure on a planet is easy enough, but it's a different ball game on the lunar surface. 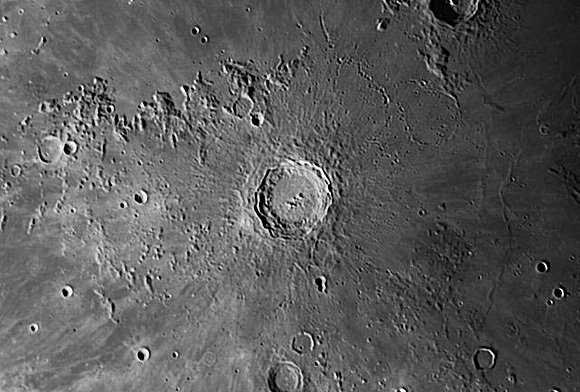 It's very easy to overexpose those peaks in that crater you're aiming for. 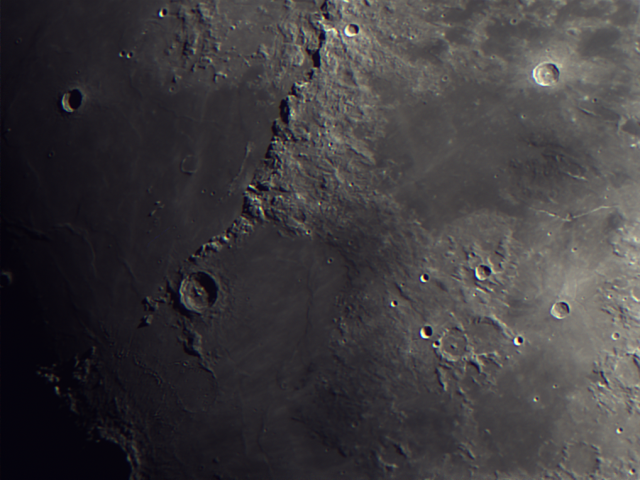 In my experience, low histogram is the way to go since you can manually brighten the image later, but can't take away a blinding white crater. These are some of the first images I took with my first camera, the NexImage 5. These first three were taken with a SW120ED on a CG-4 with tracking motors. And this one was taken with the same setup above, only I used the ST-80 for a full frame shot. I have a whole series of these, all taken with just a SX520 point and shoot camera. 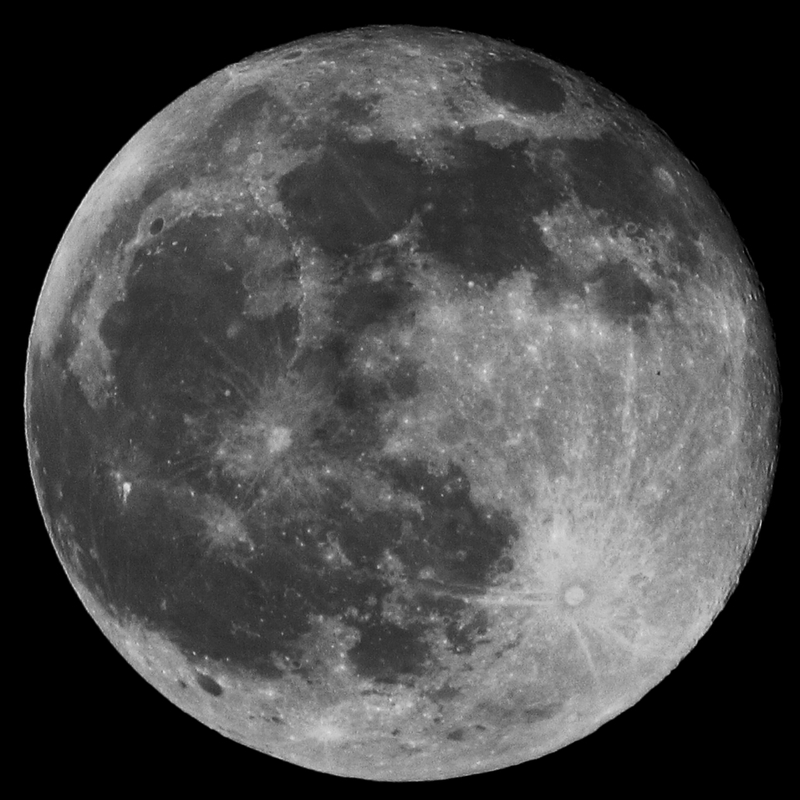 This one was my first full moon, 3 frames stacked and gimp for final edits. My first attempts at lunar photography. Excellent images Mitch. 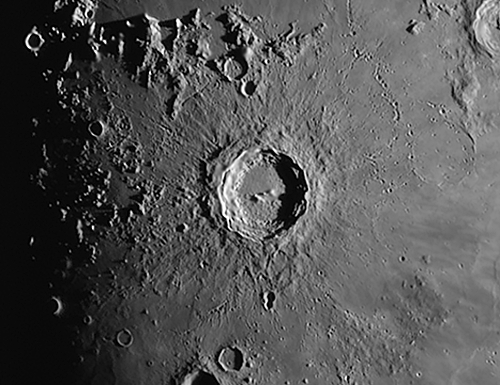 Can't wait to take some images of my own with my 102 and 120 refractors. I do quite a lot pics with my 4" because I keep them as "observation log" (tried with drawings but these were really horrible). 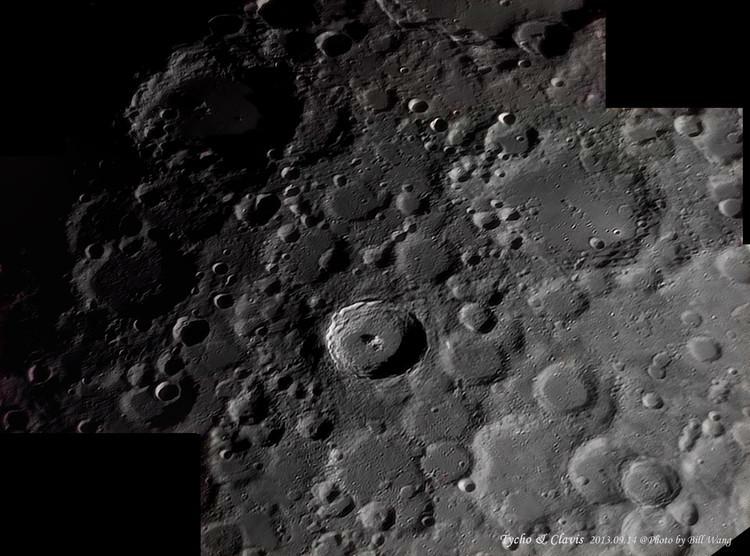 Here are lunar pictures be taken with my 6" reflector. 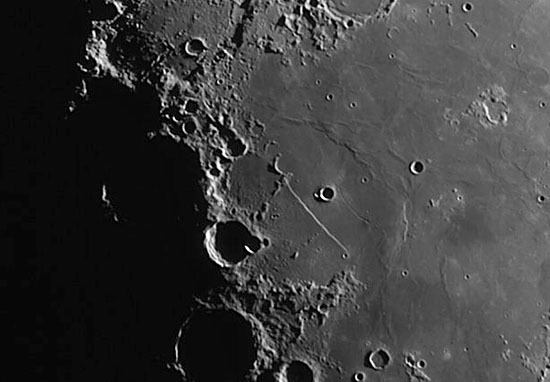 I enjoy catching features on lunar surface as challenge but more importantly such reflector can be controlled easily. Edited by bill44026, 06 May 2015 - 07:00 AM. Hello, a have a lot of Moon pictures, so i will post some of them sometimes. The setup is SCT 6" + barlow 2x (or somtimes 1.5x) and qhy5l-iic. All (most of all) the images are downscaled. Apennine Mts. 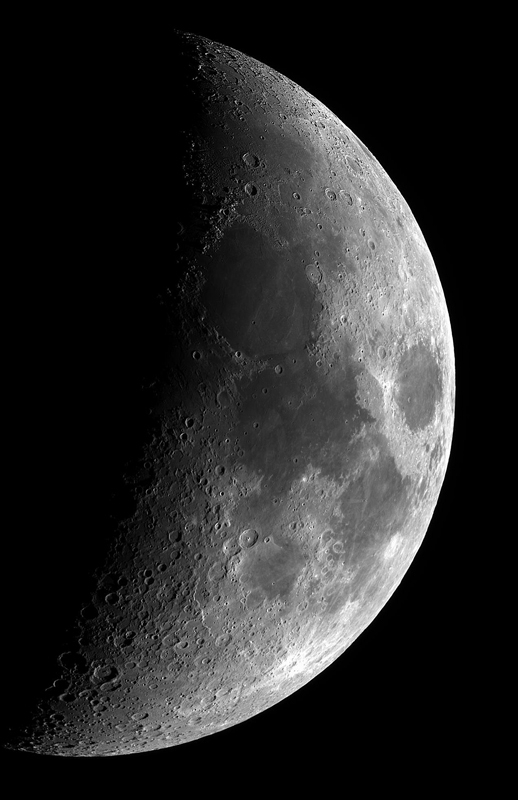 shot with IPhone6 through Lunt 152ED. 1min. video at 60fps. 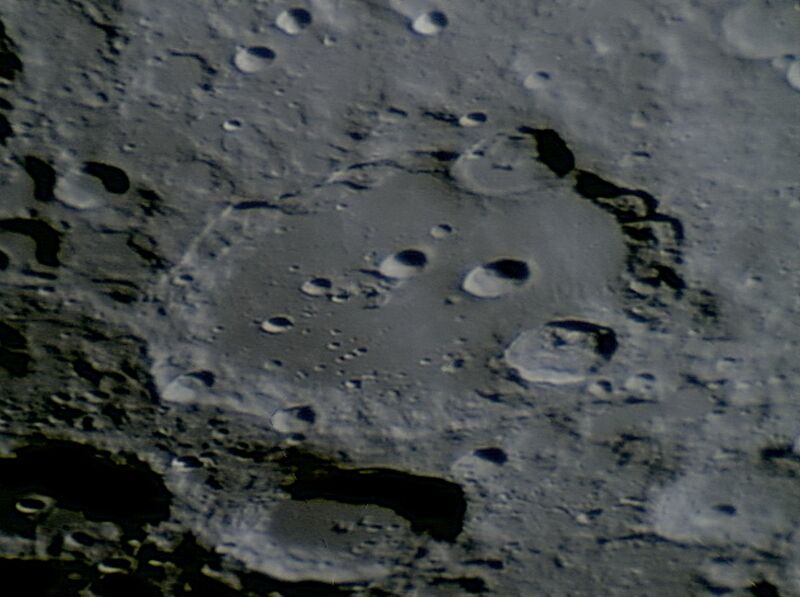 Stacked with RegiStax6. Edited by ToxMan, 06 May 2015 - 08:56 PM. 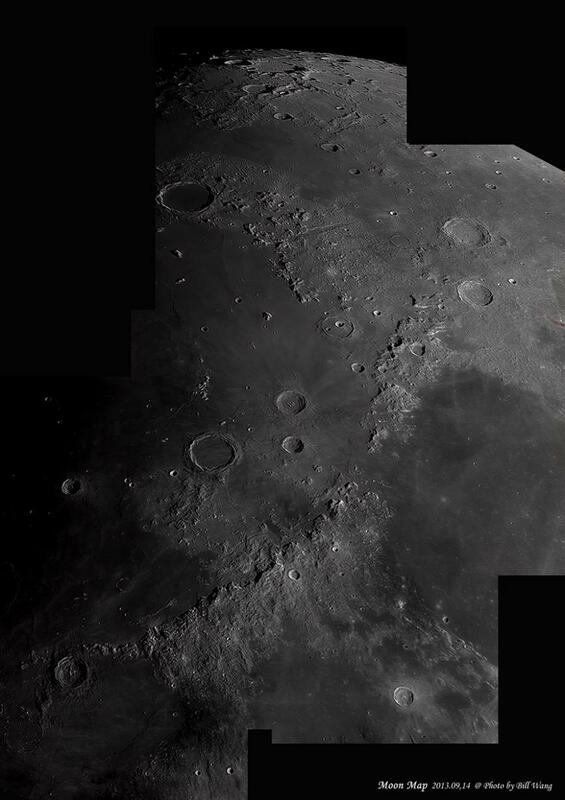 Shot with a Tele Vue NP127is with a 2X Astro-Physics barlow using a Sony NEX-5N camera (still mode) on July 16, 2013 (this is a big image and you need to zoom to see all of the detail). Some really great shots have been posted here. 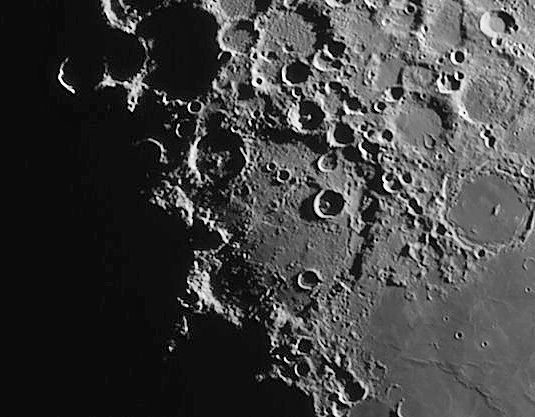 However, for lunar imaging at 5" and below I prefer doing full-disk images that can be framed quite nicely on an APS-C camera. In fact, up until quite recently I never used a "planetary" video camera for lunar work (always used my Sony NEX cameras in still mode). Edited by james7ca, 06 May 2015 - 11:34 PM. 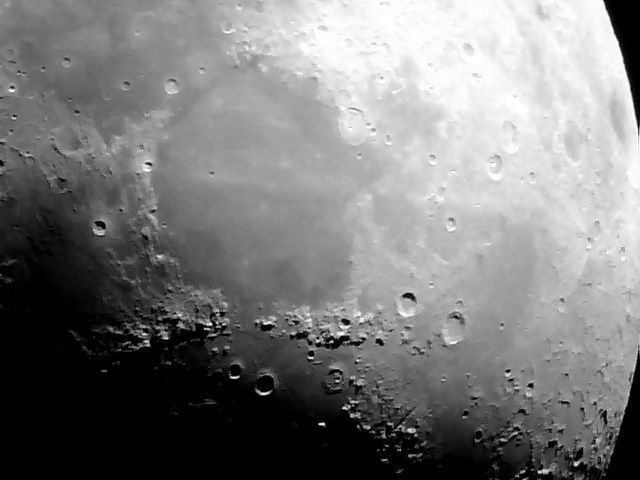 Shot with a Tele Vue NP127is with a 2X Powermate using a Sony NEX-5N camera (still mode) on July 16, 2013 (this is a big image and you need to zoom to see all of the detail). 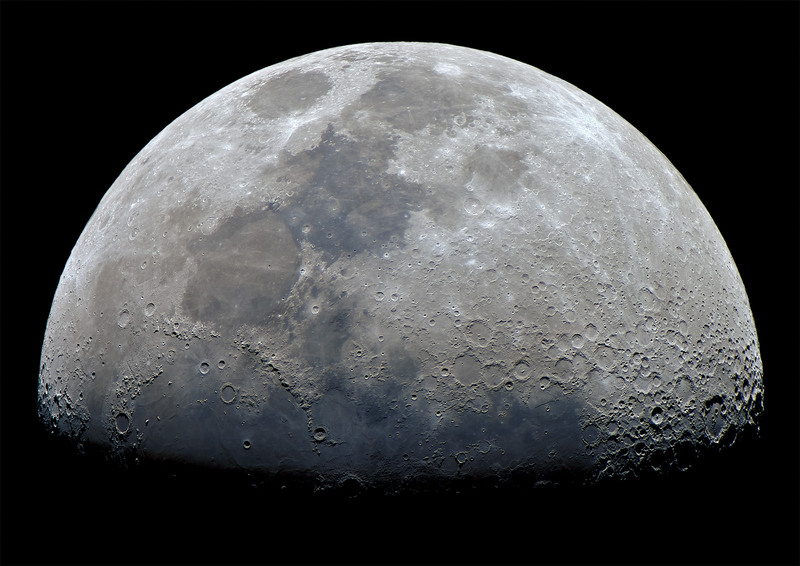 here is a full Moon with enhanced colors to show geology and soils composition. Taken with SCT 6" and Sony A6000. That's an impressive mosaic, Easybob! 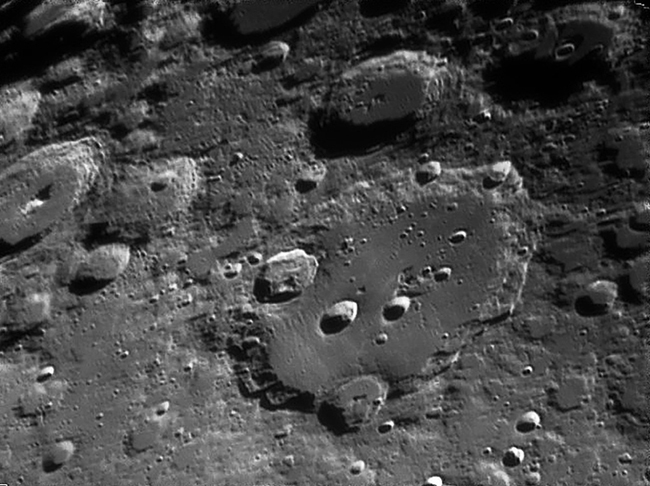 Here's a nice view of Clavius with a C6 SCT, an original Neximage, and a 2x barlow. Edited by Trevor N, 07 May 2015 - 04:38 PM. Wow! We are off to a great start on this thread. Clearly folks are doing some terrific work with both color and mono cams...very interesting color work. 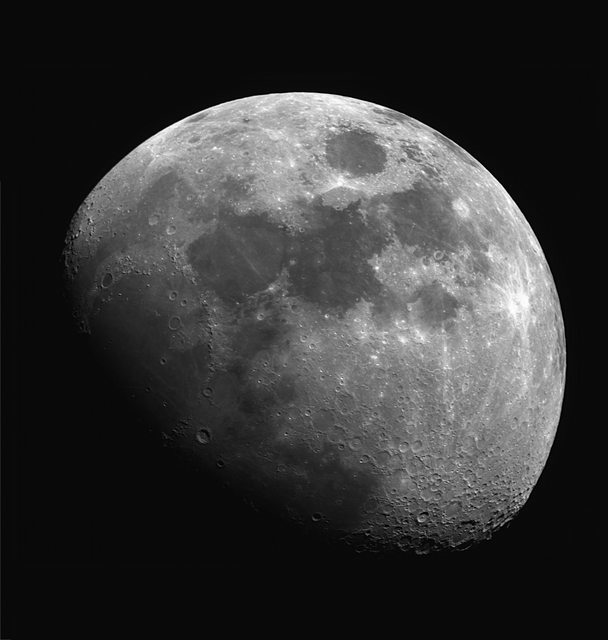 One of the things that is being driven home is that the Moon is really quite a dark object. It only reflects about 7% of the sunlight that hits it, if it weren't so gloomy gray/brown it would be even more intense. Fortunately for us it's not! As a rule I like to capture that dark feeling while accentuating things like ray structures from crater ejecta; do it right and it makes for a very dramatic shot. To help mitigate the contrast and dynamic range issues I generally use filters of some sort. I am curious about how many of us with mono cams use color vice UV/IR filters when we shoot? I typically use either an Astrodon IIc red (sometimes green) or Baader red pass filter. Definitely seems to improve the image quality to a noticeable degree. My first set of images with the SSPIAAG used a UV/IR cut filter, the images below were taken with my TEC 140, TIS DMK21AU16 cameras, and an Astrodon IIc red filter. Do you do anything to change the image values and mitigate contrast DR issues? Fawien – very nice full moon study, what do you think of GIMP for post processing? 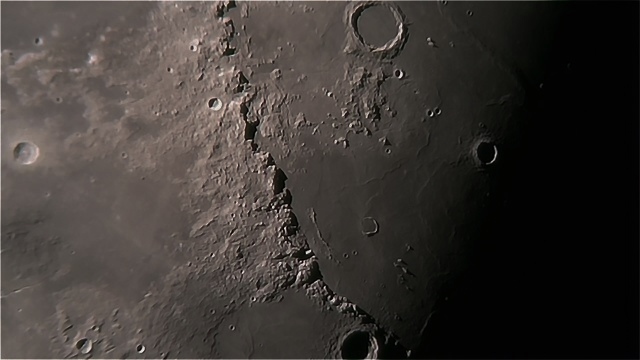 Evan9162 - Very nice set Darin, and I like that you even caught the Vallis Alpes rille. What app are you using to build your mosaics? 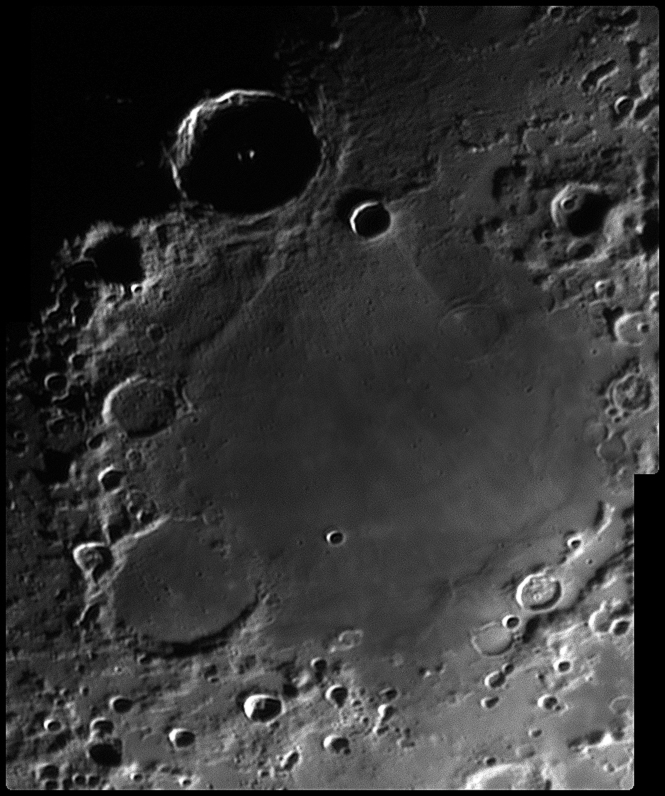 JMP – Nice Clavius Jeff! Edited by BKBrown, 08 May 2015 - 08:03 PM. Thanks. I simply used Photoshop CS2, put each panel in a layer, manually aligned them, and blended them with a layer mask. It honestly wasn't much work. Sounds like my procedure as well, although I have also used Microsoft ICE to good effect...a surprisingly easy and effective freeware app for building mosaics. An other colored moon (mares), always with the same setup. Edited by easybob95, 11 May 2015 - 12:50 AM.